In 1883 the Indonesian island volcano of Krakatoa erupted in one of the most violent volcanic eruptions ever witnessed by man. The eruption vaporised the island and its inhabitants, created a tsunami and resulted in over 36,000 deaths. The explosion was so loud it was reported to have been heard 4,800 km away in Australia and India. This is the most distant sound that has ever been heard in recorded history. 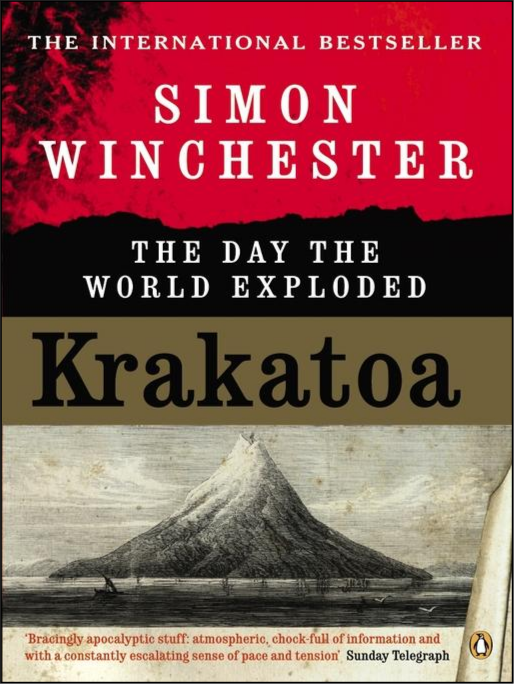 In Krakatoa: The day the world exploded best selling author Simon Winchester provides a well researched, detailed account of this mega eruption. A geologist by education and a journalist by profession, Winchester’s book is a beautiful marriage of both science and social history. The early chapters focus on the history of plate tectonics and the state of geological knowledge before the 1883 eruption. While the latter focus on the eruption itself and the societal impacts on the then Dutch East Indies. In painstaking beautiful detail Winchester brings to life the events leading up to, during and after the disaster through eyewitness reports and ship’s logs. portrayed itself as a picture of total destruction rising from the sea. What I love about this book is that it portrays the science of the eruption alongside the views and beliefs of the people who witnessed it. From those who thought it was the onset of Armageddon to the speechless ship’s crews on the Indian Ocean, no one had ever witnessed such a cataclysmic event. dear wife. I am convinced that the Day of Judgement has come. The societal impact in the Dutch East Indies were profound. The eruption helped to trigger a wave of murderous anti-Western militancy among fundamentalist Muslims, one of the first outbreaks of Islamic-inspired killings anywhere. Krakatoa provides an entirely new perspective on this fascinating and iconic event. What would happen to the world if every single human being disappeared right now? 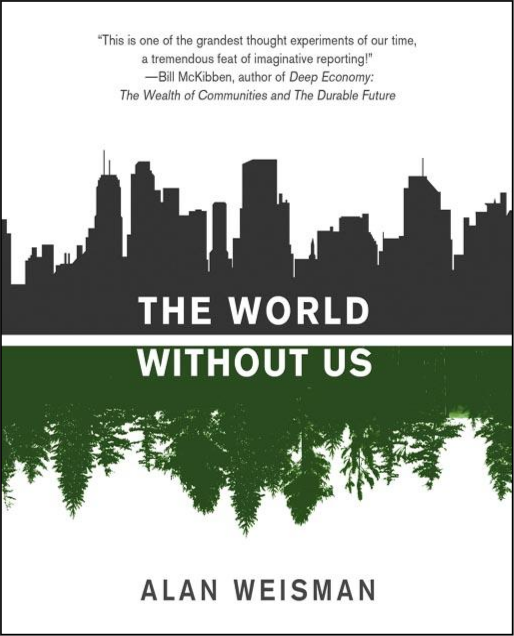 How would mother nature respond and will Homo sapien leave a lasting legacy on the earth? Alan Weisman entertains this grand thought experiment with scientific rigour and beautifully elegant prose in The World Without Us. In a nutshell human extinction, maybe unsurprisingly, will be good for the planet. Throughout the book Alan remarks on the extraordinary resilience of nature. Using examples of abandoned towns around the world, which only a few decades ago were vibrant urban centres, Alan shows how nature will take back what was once its own. The structures and facilities that have become a symbol of urbanisation and economic power will ultimately bow to the power of the life giving substance: water. Water is nature’s ace, able to break up roads, seep into cracks in concrete and create ideal environments for mould and other decomposing organisms. The atmosphere slowly clears up the greenhouse gases we have been unscrupulously emitting since the industrial revolution. Reading this book, I was struck by how quickly nature responds to the absence of people. Within a few decades to centuries, what was once busy shopping centres and housing estates are now lush forests with a profusion of life. Without the constant stress on habitat and lives many animals on the brink of extinction bounce back. The vibrancy of animal and plant life is a stark contrast to the so called human-induced 6th mass extinction we are in now. But Homo sapien will not go quietly, in our brief time on the Earth we have created wonders and caused utter destruction of ecosystems. Some of these may not recover at all. Our ancient stone monoliths may yet survive for hundreds of thousands if not millions of years. Billions of tonnes of plastic will enter into the geological record and mark the time we as a species dominated life on earth with its own geological epoch: the Anthropocene. Some of our far flung satellites, cruising into the vastness of deep space may even survive the destruction of the Earth itself when in 5 billion years our planet is engulfed by the dying embers of the sun. I cannot recommend this book enough. As one reviewer said, it is like “a slow-motion disaster spectacular and feel-good movie rolled into one”. Maybe if we understand our affects on nature and the planet can we hope to live more in tune with it. “We live in an age of fear”, says Dan Gardner in the opening pages of Risk: The Science and Politics of Fear. Despite the fact that you are more likely to live for longer and healthier now than any other time in human history, we are constantly afraid for our lives. Homo sapien has been around for over 50,000 years. For much of this time we were hunter gatherers. Those who learned to fear the unknown were the ones who lived the longest. Thus, this trait was passed on down the generations until it became ingrained into our cognitive anatomy. But for the past 3 or 4 centuries we have not been of that world. Most of the world’s people do not need to hunt for their food. With more than half of the global population living in cities we have become Homo sapien urbanus. But 50,000 years of evolution is hard to forget. Our intuition, still hard wired as a hunter gather, has been thrown into the urban mayhem that is modern life. It is therefore not surprising that our instinct gets things wrong. Filled with illuminating real world examples and interviews with experts, Risk: The Science and Politics of Fear is an engaging and thought provoking read that will make you question the decisions you make. 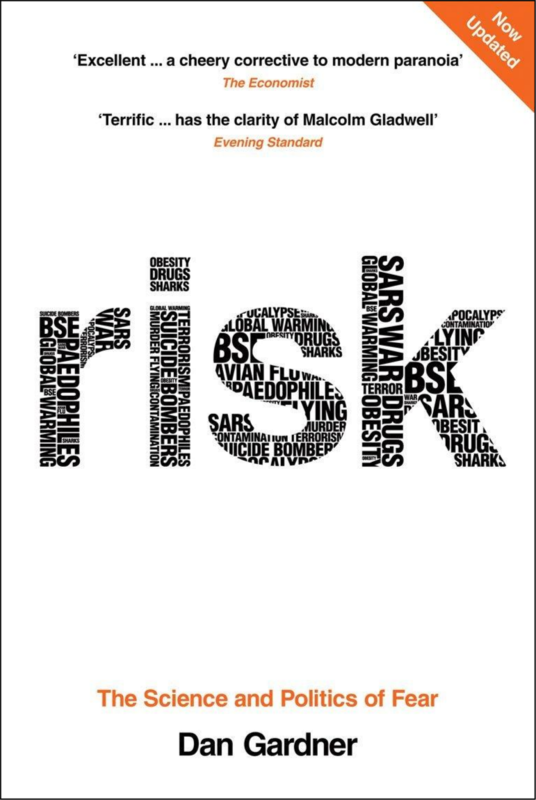 I believe this book should be a staple for everyone interested in understanding the science and perceptions of risk.